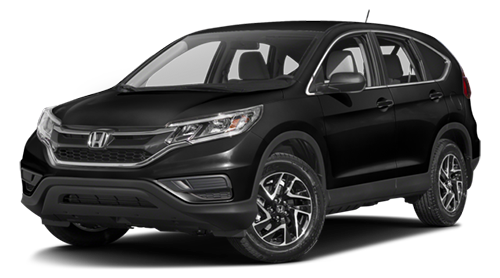 The 2016 Honda CR-V is available now at Brilliance Honda of Crystal Lake, and if you’re looking for a model that provides desirable features at an affordable price point, then the Honda CR-V SE is one you should have your eye on. Take a look at the details here before stopping in for a test drive from the Elgin and Crystal Lake, IL area! The 2016 Honda CR-V SE builds on the standard equipment used in the base LX trim level, so it comes with a rearview camera, power accessories, cruise control, Bluetooth phone and audio connectivity, as well as technology like USB connectivity and Pandora internet radio compatibility. Plus, while the LX is available in silver, white, black, and grey finishes, the SE trim is available in Basque Red Pearl II, Obsidian Blue Pearl, Mountain Air Metallic, and urban Titanic Metallic as well. The 2016 Honda CR-V SE uses a 2.4L four-cylinder engine good for 185 hp and 181 lb-ft of torque. A continuously variable transmission is standard, as is front-wheel drive, though all-wheel drive is available. The EPA says that the CR-V is capable of up to 26 mpg city/33 mpg highway/29 mpg combined* with front-wheel drive. The 2016 Honda CR-V SE has earned the top possible five-star overall rating from the National Highway Traffic Safety Administration**. The CR-V SE comes equipped with safety technology including a rearview camera, traction and stability control, active head restraints, and multiple airbags. Come learn more about the latest 2016 Honda CR-V here at Brilliance Honda of Crystal Lake right now. We’re located at 680 W. Terra Cotta Ave. in Crystal Lake, IL, just a short drive from Elgin, and we have all CR-V trims in stock now, so stop by soon to find the right version for your needs!